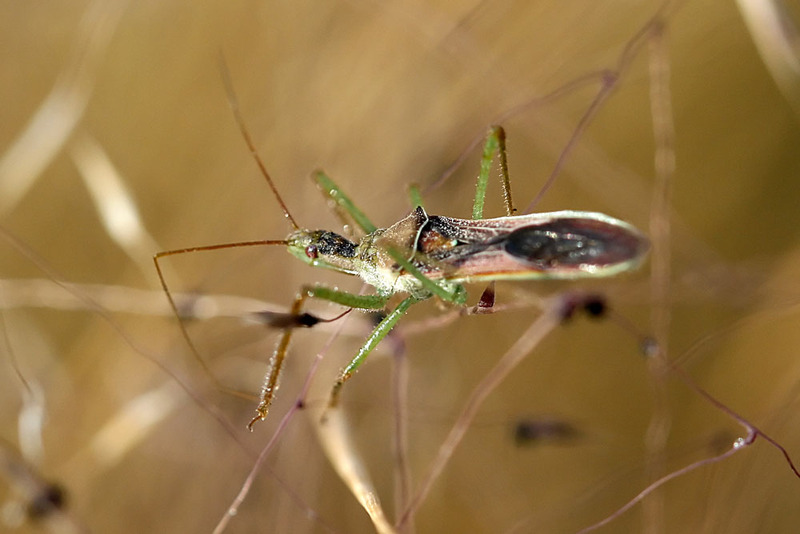 Nature's Archive Blog: Watch Your Back - Assassin Bugs Are Everywhere! Assassin bugs are yet another fascinating insect that inhabits most of the planet (over 3000 species, in fact!). They are considered beneficial insects because they typically leave humans alone and often prey on bugs that we find objectionable, such as aphids. 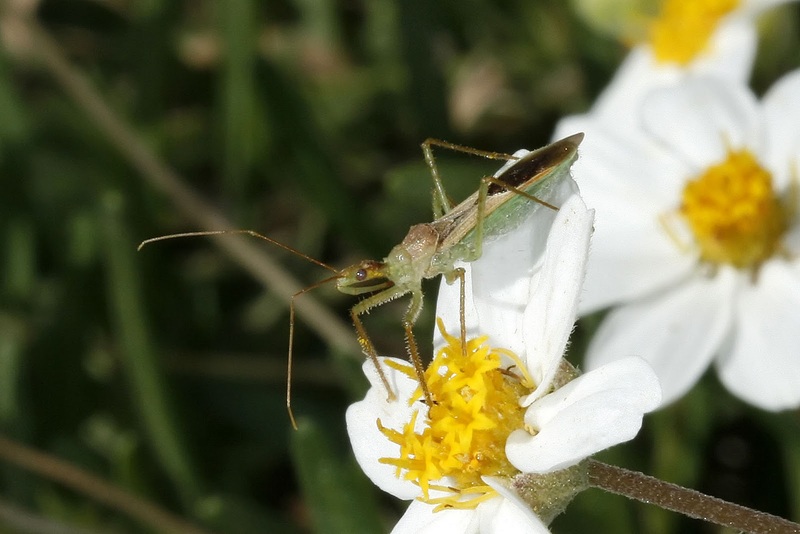 This Assassin Bug for the genus Zelus, identified by its red eyes, was doing just that - feeding on a copious amount of aphids in my Pink Mulhy grass. Measuring about an inch, these insects often go unnoticed. The key identifying feature of the Assassin is the proboscis, the special mouth part that curls under it in the photo above. This mouth part can be used to impale prey and inject a toxic saliva. The bug is further empowered by its sticky forelegs. Assassin bugs are known to stalk their prey, and even mimic the sounds of other insects. One of their most interesting behavior is lightly plucking spider webs, hoping to draw the spider out thinking that it has caught something in its web. The photo below is of the same species on a Blackfoot Daisy from about a month ago. 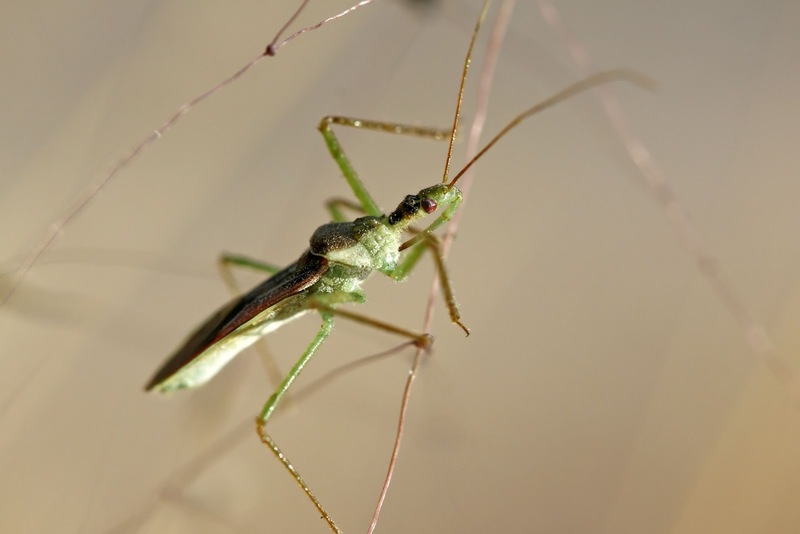 Read more about Assassin Bugs at livescience. Great details you've captured of this insect. It is so exciting with macro on insects, great macro! At first I thought I read "Asian" bugs...well, duh!! No wonder I need to watch my back then...excellent photographs! Do come by to visit if you can.